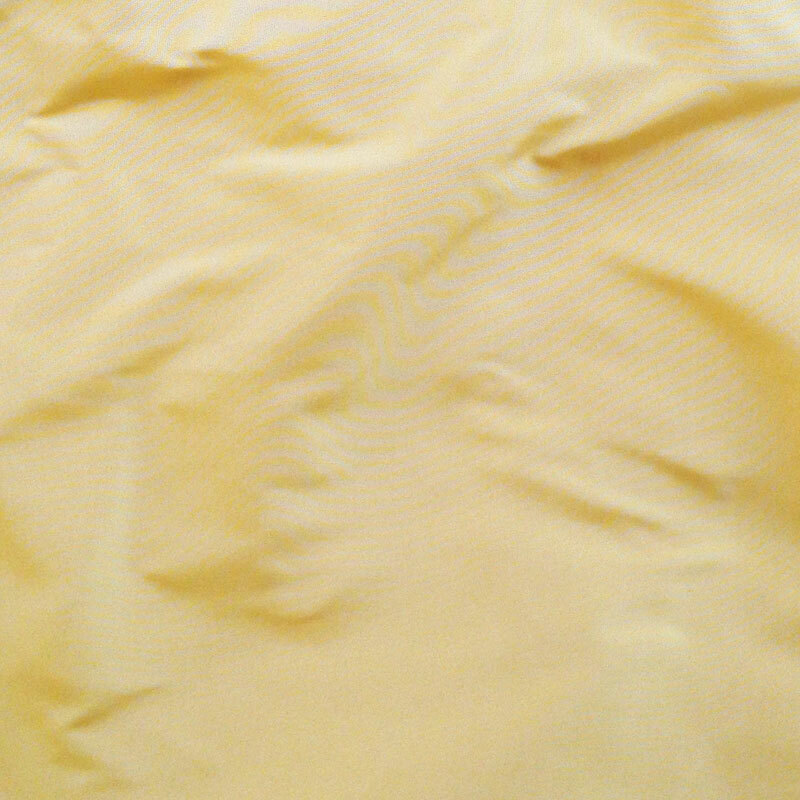 This great 100% silk taffeta in Frosted Yellow is so lovely and great for so many projects! There are bright yellow threads crossed with ivory. Great as a main color or accent for the 18th century and beyond. This is a beautiful yellow. The fact that it’s shot with ivory makes it a very soft yellow. So far I’ve used it to make a regency bonnet and reticule and I have more to line a yellow wool silk. It’s a difficult color to find as most yellows are too gold. This is a buttery spring yellow. It’s a nice medium weight crisp taffeta that would also make a lovely gown.